Personal training in your pocket. Welcome to the revolution in exercise learning. Instead of using 2D graphics or videos, RealiFit let's you see the motions of each exercise in full 3D. You can view, pause, and step through each exercise that was obtained by motion capturing certified professional trainers. Get interactive tips on how to prepare and execute every rep safely and efficiently. See WHERE and WHEN you should feel the burn. 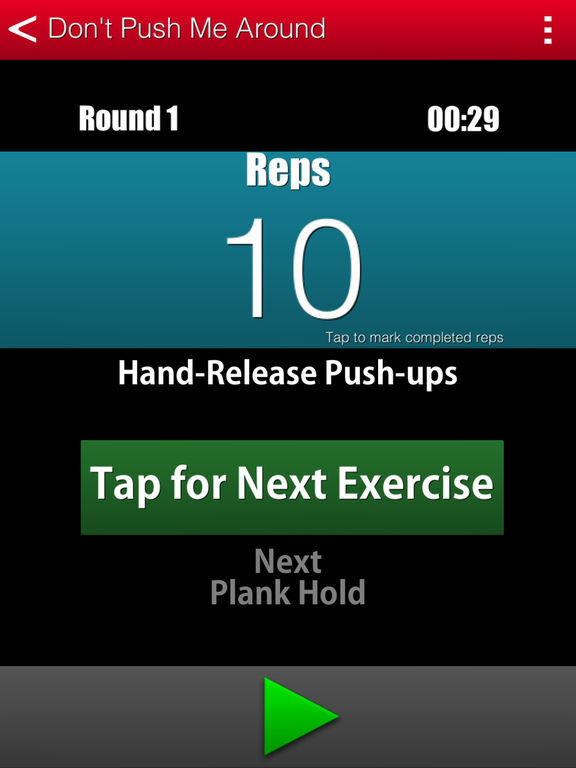 Use RealiFit's Workout mode to guide you and keep track of your place in preset workouts. I used this app on a recent trip and got an excellent workout. I chose the vacation tabata and was exhausted by the time I was done. The form animations were helpful for one of the exercises that I couldn't remember how to perform. So far I'm pretty satisfied!!! Looking forward to future updates. Just what I wanted ! It is a great app for both seasoned people and for those who are starting out. I needed something that could help me plan my workout everyday and also help me learn new workouts. It is so useful to learn correct form without paying expensive fees. Love the visuals. Highly recommend this one !! I love how I can challenge my friends during workouts via Facebook!